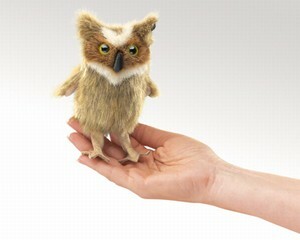 Folkmanis 2752 - With her big watchful eyes, this MINI GREAT HORNED OWL finger puppet seeks a perch atop your finger. Whooo wants to play? Finger puppet measures 2" x 3" x 6".